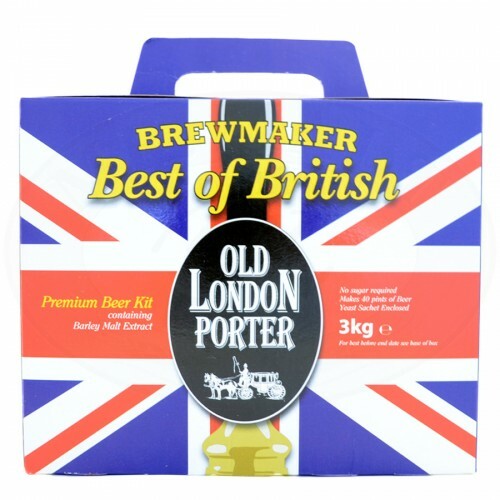 “London Porter” beer kit for the production of 17 litres dark brown, medium-bodied beer. Dark beer with light roasted barley and licorice scents and with hazelnut end notes. It is one of the most ancient recipes. Its name reminds of the porters and other workers employed in the London port, who appreciated its nourishing properties. Ingredients: BARLEY malt extract, hop extract, dried yeast; the product may contain traces of WHEAT, RYE, OAT.